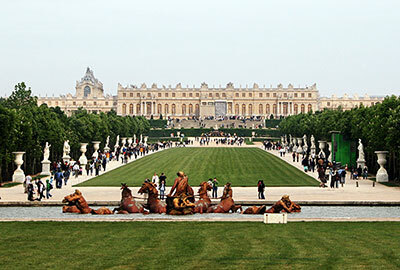 Paris International VIP Services: Private guided tours of Paris and France in many languages, online. 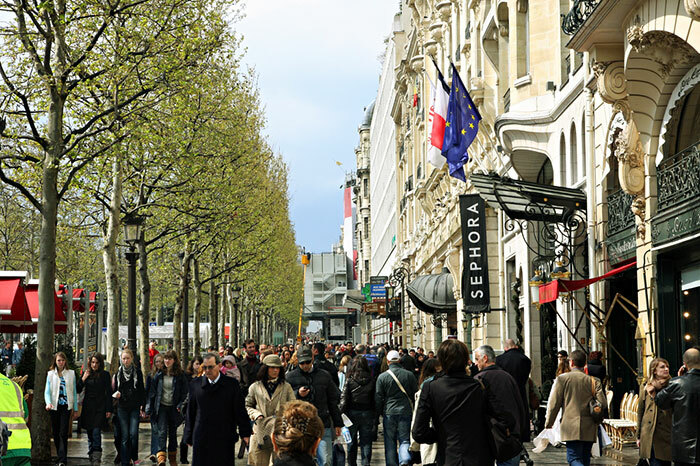 Let us take you on a personal tour of Paris with a personal guide who speaks your language! 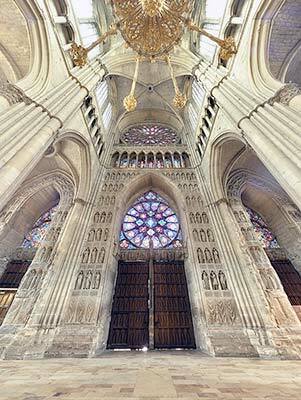 This half-day tour gives you a glimpse of the city. 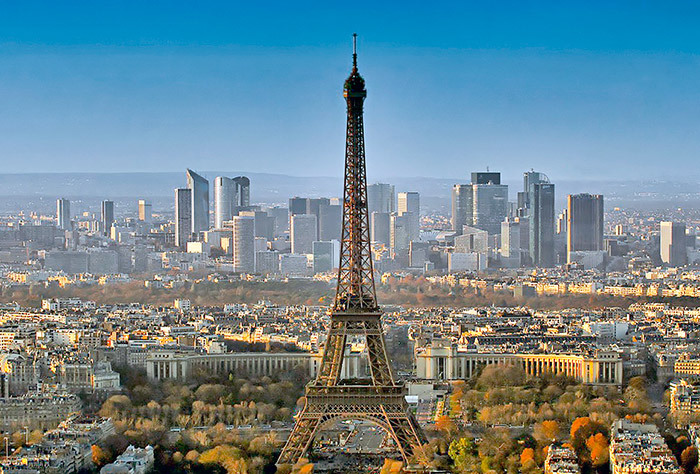 You will see all of the major monuments including the Eiffel Tower, the Champs-Élysées, the Opéra, Notre-Dame (with interior visit, if open), Montparnasse, Napoléon’s Tomb, the Arc de Triomphe, Place de la Concorde, etc. Your informative guide will show you round, and happily answer any questions you may have. Entrance tickets not included. Ticket prices are 18.50€ p/p. For a small supplementary charge, we can arrange to have your tickets purchased beforehand. 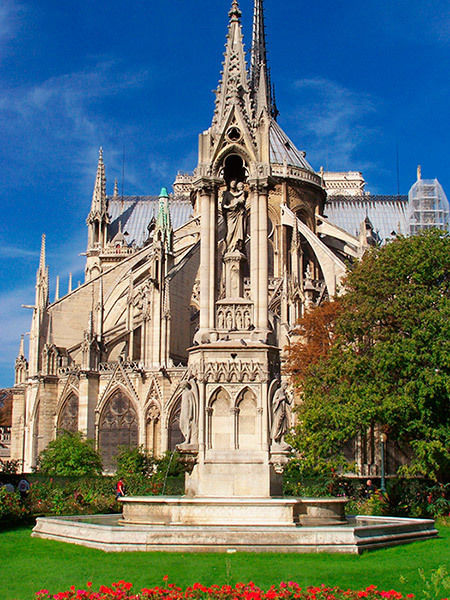 Visit the inside of Notre Dame, or go up the Eiffel Tower or the Arc de Triomphe – this full-day tour will allow you to visit all of the sites listed in the four-hour tour above but at greater leisure. If you book ahead, we can also make reservations for you in a restaurant of your choice. In the afternoon you can enjoy a one-hour ride on the riverboat and see the handsome and historic buildings of Paris – many clearly visible from the riverbank – as you cruise along the Seine. Entrance tickets not included. Ticket prices are 18.50€ p/p. Riverboat = 12 euros. For a small supplementary charge, we can arrange to have your tickets purchased beforehand. Anticipate around 35€ p/p for three course lunch with wine. 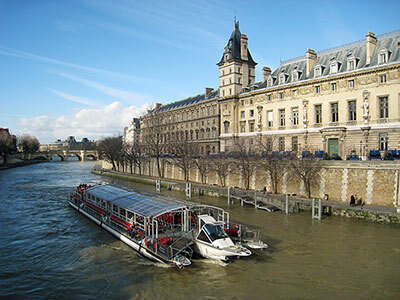 After a three- to four-hour city tour in the morning, take a cruise on the famous Bateau Mouche while you are served a delicious three-course meal*. After that you may wish to go up the Eiffel Tower nearby, for a bird’s-eye view of Paris (14 miles on a clear day) or continue to explore the city — see the Louvre, go to Montmartre, or do some shopping. The guide can give you ideas to help you decide. 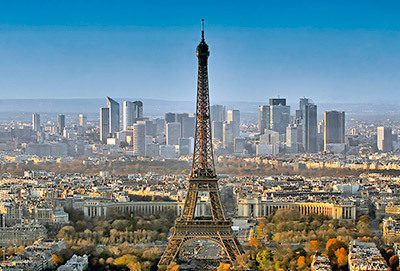 *Alternative to the river cruise lunch—lunch at the Eiffel Tower restaurant on the second level. Anticipate around 75€ p/p to cover cost of three-course lunch with wine in either restaurant. Lunch cruise lasts approximately 2 hours, from 12:30–2:30 pm. You may or may not invite the guide to lunch with you. Entrance tickets to sites not included. Located in the old Royal palace, the Louvre Museum is an immense treasure trove of paintings and artefacts. Our guide will show you the principal artworks (the Mona Lisa, Winged Victory, Venus de Milo, and others), as well as some other select sections. Our guide can pick you up at your hotel, or you can save time by meeting at a convenient place near the museum. Public transport or a taxi is all that you will need to get to this centrally located museum. 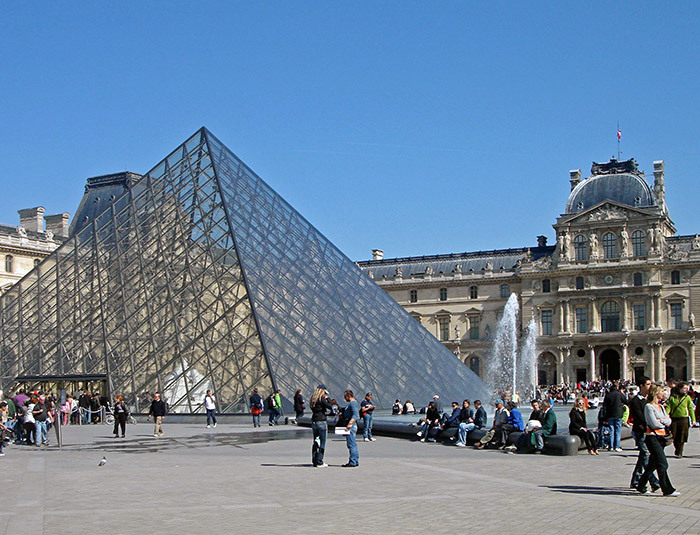 Please note: The Louvre is closed on Tuesdays. 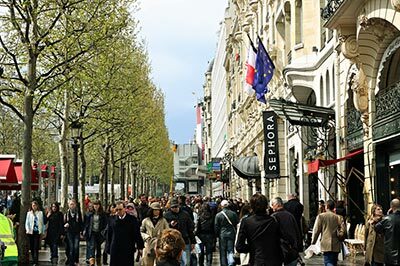 Choose a popular “quartier” such as the Latin Quarter, the Marais, the Champs-Élysées or Île Saint-Louis to explore for half a day. Your guide will give you a detailed tour of the area of your choice, including its literary, artistic, architectural and historical importance. End your tour with a relaxing one-hour river cruise along the Seine where you can view the city’s monuments from a different point of view. Entrance tickets not included. Ticket prices are 18.50€ p/p. Riverboat = 12 euros. For a small supplementary charge, we can arrange to have your tickets purchased beforehand. Fees for public transportation not included. 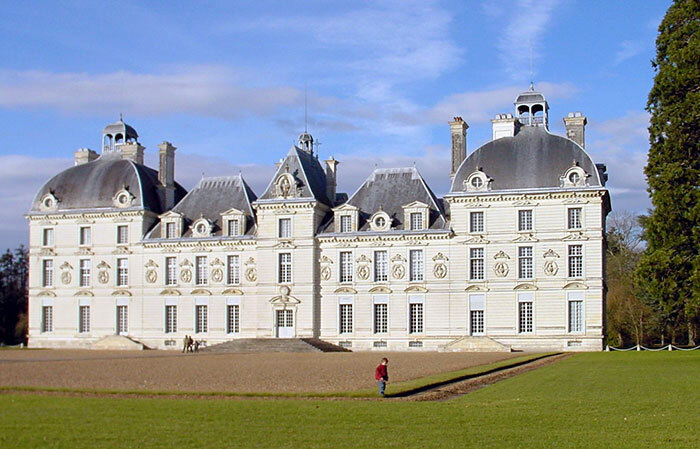 Half an hour’s drive from Paris is the world-renowned château built by the Sun King, Louis XIV, in the 17th century. Choose a morning or afternoon visit. 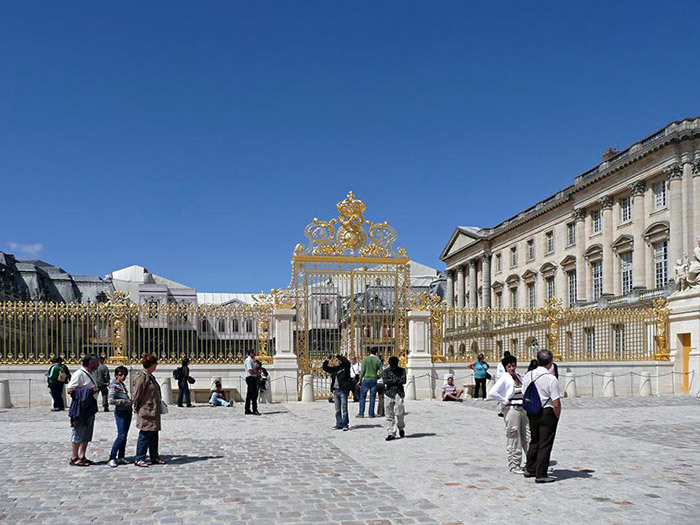 Your guide will show you the Royal apartments, the Royal chapel, the Hall of Mirrors, etc. The Château is surrounded by stunning gardens; in the summer, enjoy a musical fountain display in the afternoon (8€ additional charge p/p). We can arrange lunch in a fine restaurant near the Château after your visit. Please note: Château de Versailles is closed on Mondays. Reservation fee required: 76€. Entrance tickets (18.50€) not included. Parking fee 48 euros. Anticipate 40€ p/p for fine lunch near Versailles. 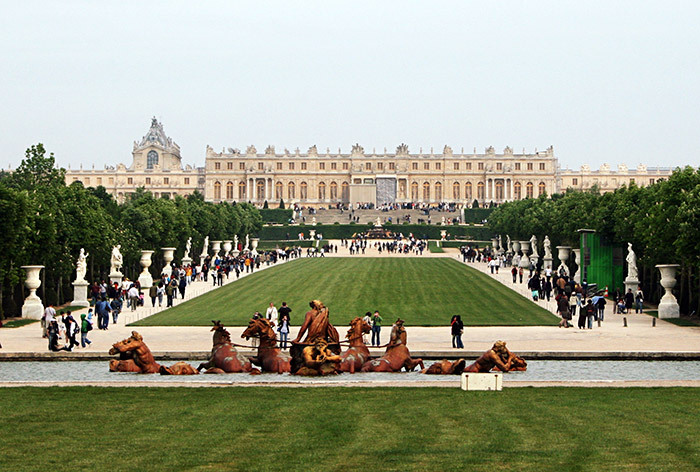 A full-day visit allows you to see Paris in a morning panoramic tour, and then drive out to Versailles, about 30 kilometers from the city. Treat yourself to lunch in an elegant French restaurant in the town of Versailles for approximately 40€ per person. 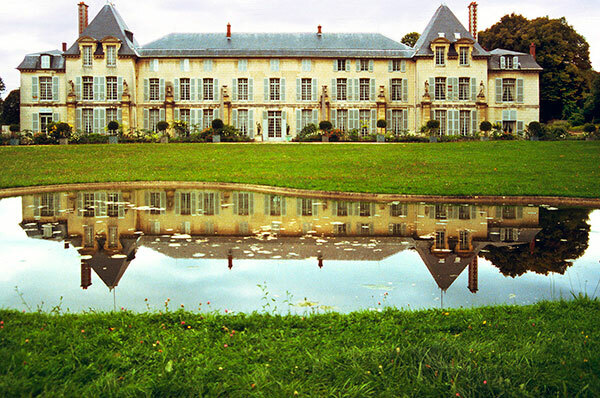 After lunch, you will visit the Château and the extensive gardens. Don’t forget the musical fountain show in the summertime. Reservation fee required: 76€. Entrance tickets (18.50€) not included. Parking fee 48 euros. Anticipate 40 euros p/p for fine lunch near Versailles. Only a half hour from Paris, embark on a half day retreat to the charming home of Josephine and Napoléon Bonaparte, a place that evokes the peace and happiness they experienced while living there. 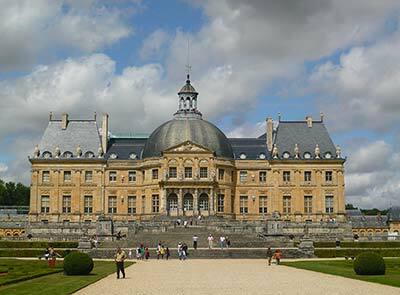 Visit the immaculate rose gardens and the Bois Préau Château where Josephine housed many fascinating relics after her divorce from Napoléon. A delightful and pleasant afternoon outside of the city. Entrance tickets not included and are to be paid by the visitor on the spot. Ticket prices range from 15 to 18.50€ per person depending on the site visited. 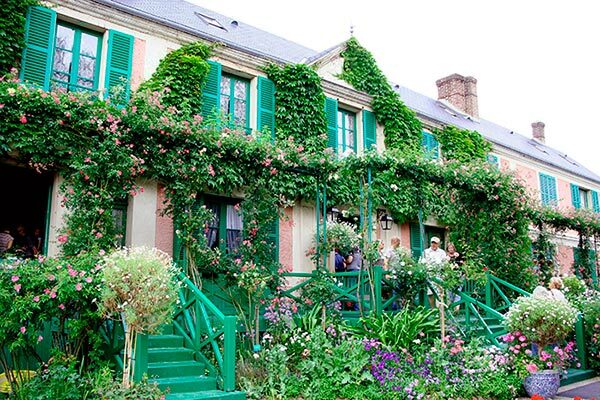 Just an hour from Paris, your entire group will delight in the spectacular atmosphere of Monets gardens and home, where he lived and painted until his death. 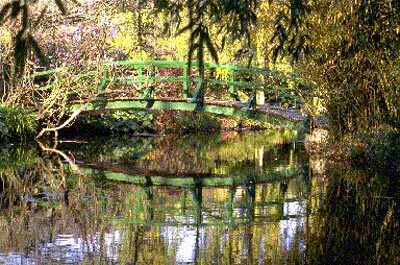 The flower gardens, studio and Japanese bridge alone make for an unforgettable excursion, not to mention the charming Normandy country roads you will navigate on your way to and from Giverny. Entrance tickets not included. Ticket prices range from 15 to 18.50€ per person depending on the site& visited. 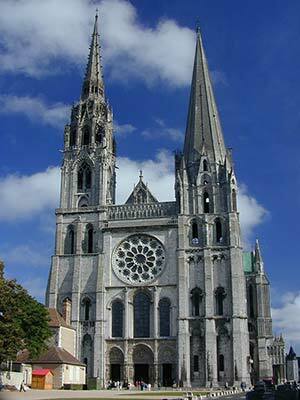 Only one hour away from Paris, start your journey in the delightful village of Chartres where you will get a chance to discover the chef duvre of the gothic style, the fabulous cathedral of Chartres with its famous stained glass windows. 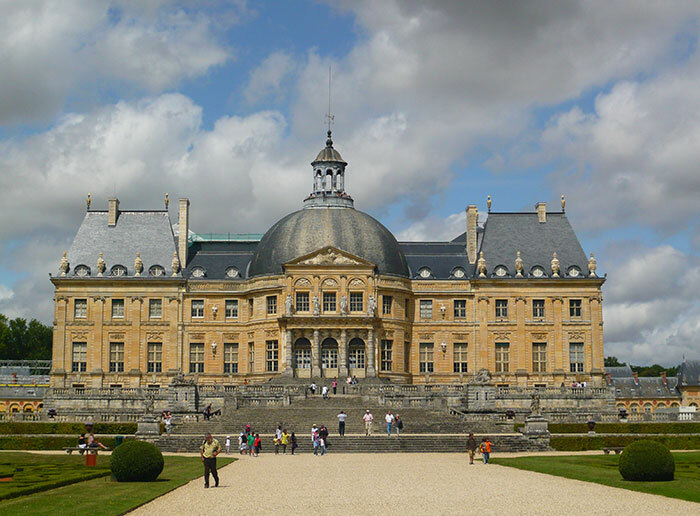 After lunch, take a lovely One-hour drive to visit Château Vaux-le-Vicomte, the treasure of Nicolas Fouquet which rendered Louis the 14th mad with jealousy. After exploring the interior of the castle, youll have time to stroll through the gardens before heading back to Paris. 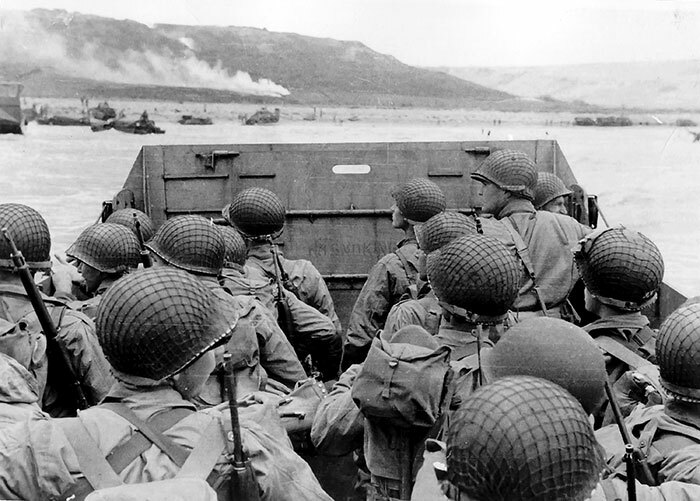 A little over two hours outside of Paris, take an emotional journey to visit the sites where the allies fought to reconquer freedom. Among other sites you will visit the Pegasus Bridge, the Caen Memorial, the Pointe du Hoc, the American Cemetery, Omaha Beach and Arromanches. Other sites can be added according to your wishes. Lunch will be reserved in a charming French restaurant. Makes for an unforgettable day in the French countryside! Entrance tickets not included and are to be paid by the visitor on the spot. Ticket prices range from 15 to 18.50€ per person depending on the site visited. For three courses and wine, count on 25€ per person. Entrance tickets to châteaux not included and are to be paid by the visitor on the spot. Ticket prices range from 15 to 18.50€ per person depending on the site visited. or up to 100 people! first day, youll surely be able go on the second day. Private hot air balloon rental for up to five persons, and door-to-door pick up and drop off from your hotel in Paris: (max weight 380 kg. ), full refund if cancelled due to bad weather: Price per person: 900 euros. You will be whisked from your hotel early in the morning, or after lunch, and driven to Maintenon, 70 km west of Paris. In the summer time, flights have to take off with the morning currents of air. In the winter time, flights can also happen in the afternoons. 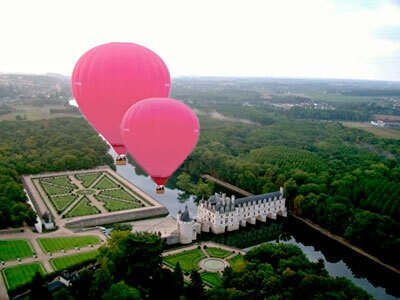 You will enjoy a scenic and exhilarating one-hour balloon flight over the Château of Maintenon, the Aqueduct and the lovely green countryside of France. You will feel lighter than air as you float noiselessly over the beautiful scenery: castles, picturesque villages—don’t forget to bring your camera! When you land, you will enjoy a champagne toast to celebrate your flight. 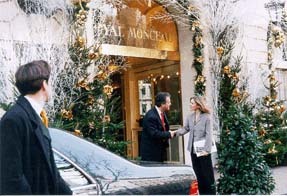 After the flight, you will be brought back to your hotel in Paris. The flight is confirmed the night before by the pilot depending on weather conditions. (Do give us a mobile phone number to reach you). If there is a sudden change in the weather, he may rarely cancel on the day of the flight, because your safety is paramount. If the flight is cancelled due to bad weather, you will get a full refund. It is best to try to keep two days open for this excursion. You will be insured for the flight. Children under 10 and handicapped persons not allowed. Please be dressed sporty and warm. This will not be a fully private flight. There may be other persons in the balloon with you. We can arrange lunch in a lovely garden restaurant in the countryside or in Paris for 50€ per person. Price per person: 900 euros. Minimum order, two persons. Three persons, 2,500 euros. Four persons, 3,100 euros. Five persons, 3,600 euros. For larger groups please enquire for a personalised quote. You will be picked up from your hotel at 6 a.m. by a hostess and taxi, who will take you to the Gare du Nord train station in Paris. The hostess will remain with you till you check into the international train station, with your tickets in hand. Note: You will need your passport, and possibly a visa for England depending on your nationality. 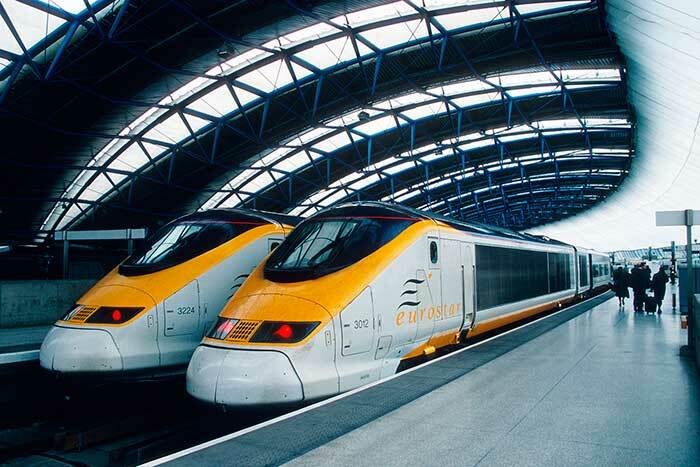 At 8:13 a.m. you will set off on the Eurostar for your two hour and twenty-minute ride to London. Breakfast on the train is included in First Class. 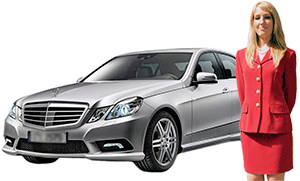 After arrival at London St. Pancras, your private licensed guide for the day will welcome you with a placard with your name on it, and take you to waiting car or minibus. 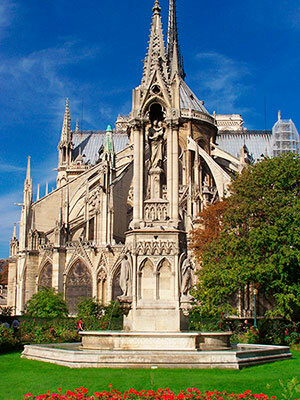 With your friendly guide, you will see all the most famous sites. You will see Piccadilly Circus, Trafalgar Square, Buckingham Palace, Houses of Parliament, Westminster Abbey, and the Tower of London. You can have a one hour boat ride (price included). You will have a part of your afternoon free for lunch and shopping. Lunch can be booked in a fine restaurant. After lunch you will have more time to continue your visit of the city. At 6:00 p.m. you will be driven to St. Pancras station for your return journey to Paris. Return train at 7 p.m. or 8 P.M. The 7:00 p.m. train will get you into Paris around 10:30 p.m. local time. Dinner on the train is included in First Class. The tour finishes at Paris Nord station, from where you will make your way back to your hotel by taxi. A great excursion in one day! Every year we offer a range of New Years gala activities. We invite you to take a look through this offer while pondering next year!